Since the very beginning, Lyn Graham has continuously offered our customers the most competitive rates with the lowest possible costs. Lyn Graham will represent you with all the facts in a straightforward manner. We are committed to finding you the best financing that is available to suit you and your families’ needs. Is it Time for a Refinance? 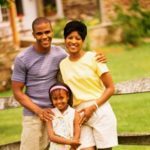 Why Use a Mortgage Originator? Stay up to date with everything mortgage and home related with my informational monthly newsletter. Use my helpful mortgage calculators to help you get an estimate for mortgage payments, refinancing payments, and much more!